Over the years Preservation Treatments have been instructed to provide structural solutions associated with bulging walls, wall tie failure, cracked masonry, lack of lateral restraint, failed lintels and settlement. In the past, the only option available to our clients was to rebuild or replace at a huge cost and inconvenience. We are now an Approved Helifix Contractor and can provide a viable, Helifix solution. The Helifix system saves our clients significant amounts of money. Through careful specification, knowledge and practical application, we can provide our clients peace of mind. Our service is also backed by the Helifix technical department and a Helifix insurance backed guarantee. The Helifix brand image is based on quality and the ability to assist clients and Approved Contractors with reliable solutions to their problems. They have become a market leader in several areas such as remedial wall ties, crack stitching and lintel creation. Stainless steel remedial wall ties, helical bars, fixings and grouts. Designed to work together. A Nationwide group of trained expert installers who, with the expertise of Helifix, specify and apply the system. A unique insurance backed design and installation guarantee which is only available through Helifix approved installers. Helifix Helibar – helical stainless-steel bars for masonry reinforcement, application, including lateral restraint and crack stitching. Helifix DryFix – Remedial wall tie requiring no grouts, resins or mechanical expansion and with minimal disturbance to the existing structure. Helifix have been testing and refining their systems since 1985. In 1993, following several years of experience, they introduced The Helibeam System of masonry reinforcement. A fully concealed system, it works in a composite action with the existing masonry to restore full structural integrity whilst avoiding costly and disruptive taking down and rebuilding. Precision engineered to a unique helical design. Manufactured by Helifix in its own UK factory. Backed by comprehensive technical support service. Flexible, to accommodate normal structural movement. Suitable for all types of masonry from housing to tower blocks, churches and bridges. Ideal for historic and listed buildings. The Helibeam system works by reinstating structural integrity through masonry, providing additional lateral restraint and providing lintel support above openings in an economic and stress-free way. Whilst most building insurances do not cover issues unrelated to subsidence, the Helifix insurance backed guarantee provides our clients with peace of mind and quality assurance. It may also provide the assurances the purchasers and mortgage providers require to allow sales to go through without delays. What does it mean to be a Helifix Approved Installer? 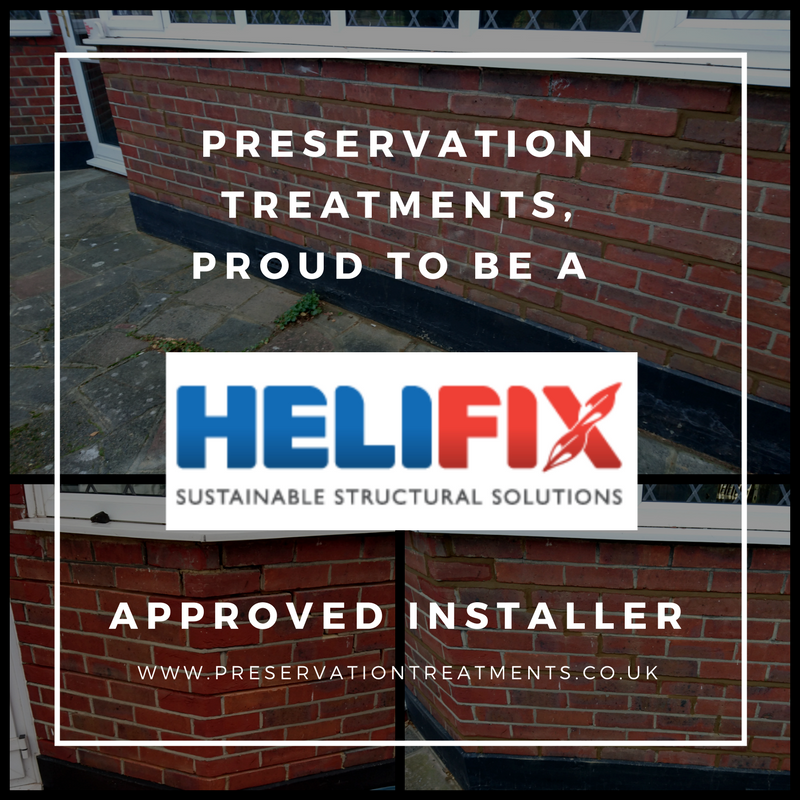 Helifix are not the only supplier of remedial structural solutions, however, the training and technical support that Helifix provide to their approved installers set them apart from competitors. This ensures that Helifix systems are fitted efficiently and effectively. All their approved installers go through a stringent training process and all approved surveyors have access to their technical support, ensuring that their systems are fitted both professionally and successfully whilst also ensuring customer satisfaction.